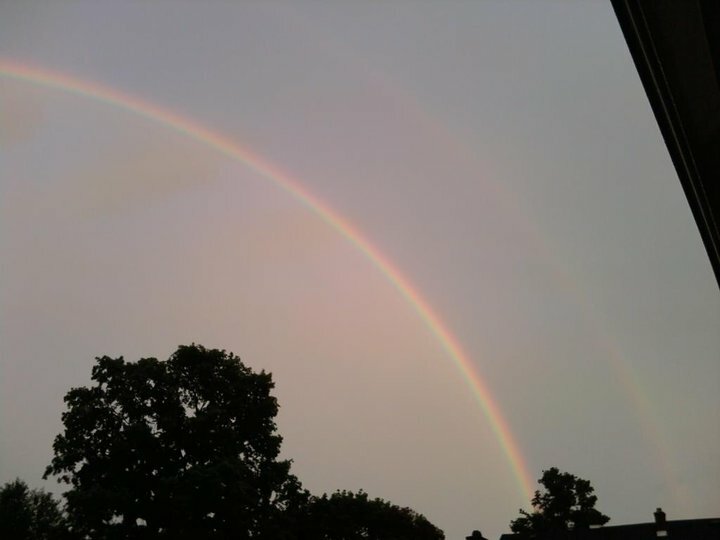 You have to make sure that you take a closer look on the second rainbow upper next to the visible one. This came out after the pouring rain we have on a summer day. I have never seen a rainbow for such a long time. That is why I was really happy and be like a child again when I saw one. Even more amazed when I got two of them. I ran back inside the house to get my camera just to make sure that I have this one taken and be in my memory book. Me and my husband stayed outside until that rainbows fade away. And I went to Blog Copy website to share what memory I captured on that day. It would be nice to share what you have done on that day especially when it comes very seldom. Sure nice to see a rainbow these days...been a long time since I seem one....Thanks for sharing.